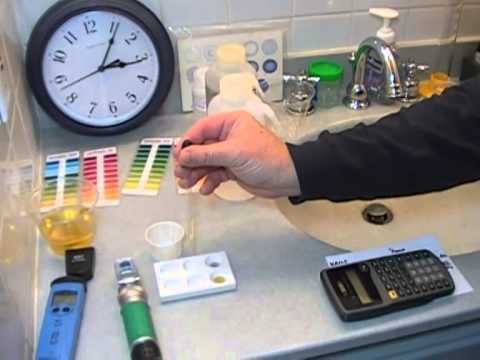 Ream’s Biological Theory of Ionization (RBTI) Baseline Analysis is a tool that we use to measure the residues and components of samples of urine and saliva to assist us in designing a program to help you achieve optimal health. Practitioners who use RBTI Analysis look for many factors including whether the pH of the body is in balance or out of balance and where the greatest amount of stress is held in the body. It is named after Carey Reams the scientist who through extensive laboratory testing and mathematics came up with what he called the formula for perfect health. “We don’t live on the food that we eat, we live on the energy created by the food that we eat” – Carey Reams. Carbohydrate in the Urine (An indication of your oxygen levels and available energy). PH of the Urine (Showing how effectively nutrients are being absorbed). PH of the Saliva (Irregularities can be a major cause of weight gain or of inability to gain weight). The amount of cellular debris in the Urine (A measure of how well your body is disposing of cellular waste). Mineral Salts (Showing balance of electrolytes and a guide to your body’s need for water). Nitrate Nitrogen (Alkaline in nature, showing how well protein is being broken down in your small intestine and a key to your body’s need for potassium). Ammoniacal Nitrates (Indicate how much putrefactive waste is being absorbed, primarily from the bowel). Your NN and AN numbers show the level of the urea’s being passed in the Urine, another pointer to major stress factors and tiredness. From these results we put together a program individually tailored to your body’s needs. How does the RBTI Analysis Work? The testing procedures are performed on a urine specimen and a saliva specimen. The urine and saliva samples are taken after a main meal with no food or drink other than water for at least two hours and no water for at least 30 minutes. First total carbohydrates in the urine are measured. This tells us how well your body is handling carbohydrate foods. This will let us know whether your body is able to efficiently digest and utilise carbohydrates to maintain a steady consistent energy. Any variation from the ideal zone with this number is an indication of difficulty with holding optimal blood sugar balance. This can be having a major effect on your ability to hold your energy stable. This can lead to cravings and poor dietary control and many other symptoms such as anxiety, depression and addictions. Next we test the pH of the urine and saliva. This will help us to understand which Calciums your body may be lacking. Remember that next to water, calcium is the element most highly needed by the body. Amongst other roles having the right balance of all of the Calciums in your body will help ensure the correct production of enzymes for digestion and help the assimilation of all other nutrients, minerals and vitamins. Correcting any imbalances can be of major help in calming and helping the body and mind cope with stress more easily. The pH of the urine is extremely important, as it is an indication of how well your body can digest and assimilate the nutrients from food and supplements. You may be wasting your money taking supplements that you aren’t able to absorb if your pH is too acid or too alkaline. A poor pH balance is a major cause of illness and disease. If ignored, an imbalanced pH can affect your blood and oxygen carrying capacity along with all cellular activities, hormone systems, immune functions and all other bodily functions. The pH of the saliva gives an idea of the pressure that your liver and pancreas are under and relates to the body’s ability to begin the digestive process in the mouth. Ideal digestion takes place when the pH of the urine and saliva are both in the ideal zone of 6.2 to 6.6 and all other numbers are also in their ideal zone. Next we test for the level of salts and toxins being released by the body. Firstly we measure the amount of cellular debris in the urine to see if your body is cooperating with the necessary cleansing. A body that is unable to cooperate often needs a change of diet and supplementary assistance to help it let go of accumulated wastes. These wastes can easily become toxic to the body if not removed on a regular basis. Then we check the level of salts and toxins using a conductivity meter to assess the level of fluids needed and how well your body is balancing its electrolytes. Numbers too high or low are an indication of too much or too little resistance in the body either of which can have major effects on your health and life. The last two tests measure the amount of unutilised protein being passed through to the kidneys for elimination. This can show whether your body is cooperating in your quest for optimal health or whether there are blockages in the upper or lower body. These tests can help you target areas of greatest concern and help you to bring your focus onto old unresolved blockages of a physical or emotional cause. Just like a plant you need the correct “soil” for healthy growth. In your case rather than soil you need a healthy diet that is correct for your bodily needs and the right acid/alkaline balance in your body to be able to absorb the nutrients from your food and supplements efficiently. RBTI Analysis gives a very accurate assessment of the way in which your body is functioning. From this assessment a series of steps that are individually tailored to you can be recommended to help you bring your body into balance. Returning your body to balance leads you back to wellness. Modifying your diet to eliminate or reduce dietary stress factors. Improving your digestion with the use of digestive plant enzymes. Improving bowel elimination to ensure 2 to 3 easy comfortable bowel movements daily. Stopping or reducing inflammatory factors. Supporting your nervous and digestive systems by correcting acid/alkaline imbalances with the correct Calciums and minerals for your body. Supporting your Endocrine system for correct hormonal balance. If this is of interest to you or any member of your family please contact your Practitioner and ask for an RBTI Analysis Kit. Following the receipt of your samples by return addressed express post envelope (included in the RBTI Analysis Kit) a detailed analysis will be prepared and forwarded to you either by email or post as requested, together with a letter detailing the steps that we feel would most benefit you.